Algoma Central Corporation, a leading provider of marine transportation services, recently announced the signing of a definitive agreement to acquire the interest held by Oldendorff Carriers GMBH & Co. (Oldendorff) in the CSL International Pool (the Pool) including the three vessels owned by Oldendorff operating in the Pool. As a result of the transaction, Algoma’s interest in the Pool will increase to approximately 40%. The Pool consists of 18 self-unloading vessels ranging from handy-sized to panamax and provides specialized shipping services to a range of customers along the coasts of the Americas and in the Caribbean. Algoma currently owns five vessels operating in the Pool. As a result of this transaction, Algoma will acquire the handy-sized m/v Alice Oldendorff, and the m/v Harmen Oldendorff and the m/v Sophie Oldendorff, both of which are panamax vessels, for US$100 million. The deal is expected to close late in the second quarter of 2019. Algoma has been involved in ocean self-unloaders since 1998 when the Company acquired a 50% interest in Marbulk Canada Inc. (Marbulk), then an independent operator of five self-unloaders converted for ocean use. Marbulk joined the current Pool in 2000. 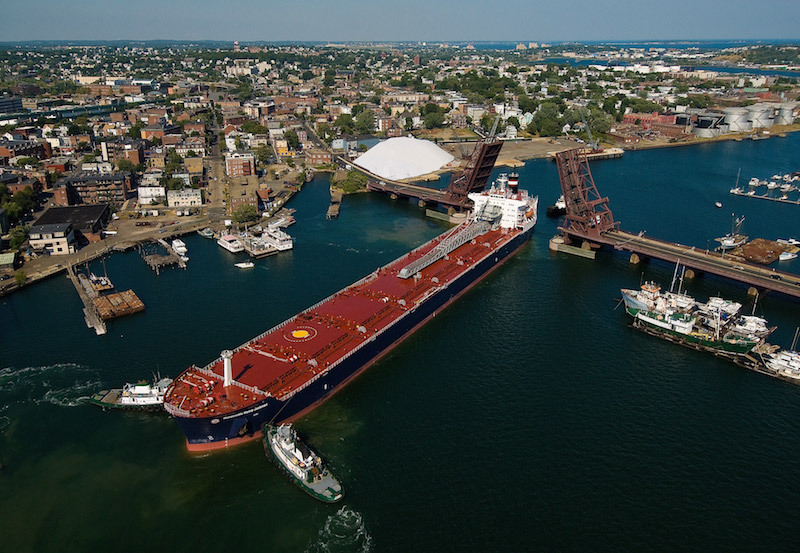 Marbulk’s original ships have now retired and in the intervening years Algoma’s ocean subsidiary, Algoma Shipping Ltd., acquired a direct interest in the Pool, growing its fleet to five vessels prior to this acquisition.